Since it is winter holiday I have decided to come back on my food blog (which has only 3 posts so far…) Anyway, today I’d like to introduce one of my favourite Tonkatsu places in the Tokyo – Yutaka Asakusa! Hidden in one of the smaller streets perpendicular to the road where the famous Kaminarimon is situated, the best way to find Yutaka would be to look for the “Central World Hotel” and then walk straight into the little alleyway at the left of its main entrance. 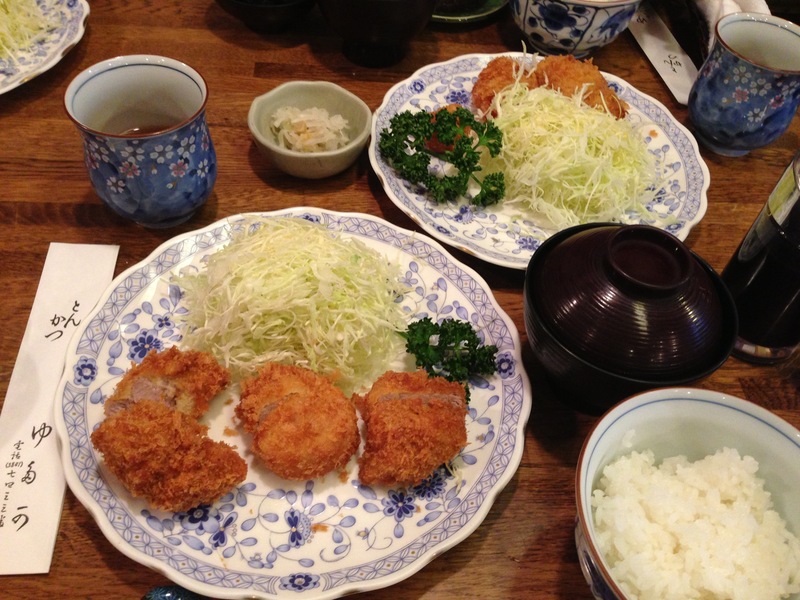 This tonkatsu house has been operating for over 60 years – their tonkatsu are made of tender Yamato pork from Gunma ken, deep-fried in batter made of homemade flour using high quality cottonseed oil. Because it’s winter (oyster season!) I decided to get some kakihurai (deepfried oysters) for the table to eat with our chawanmushi as appetizer. Obviously I saved most of my tummy space for my favourite hirekatsu! 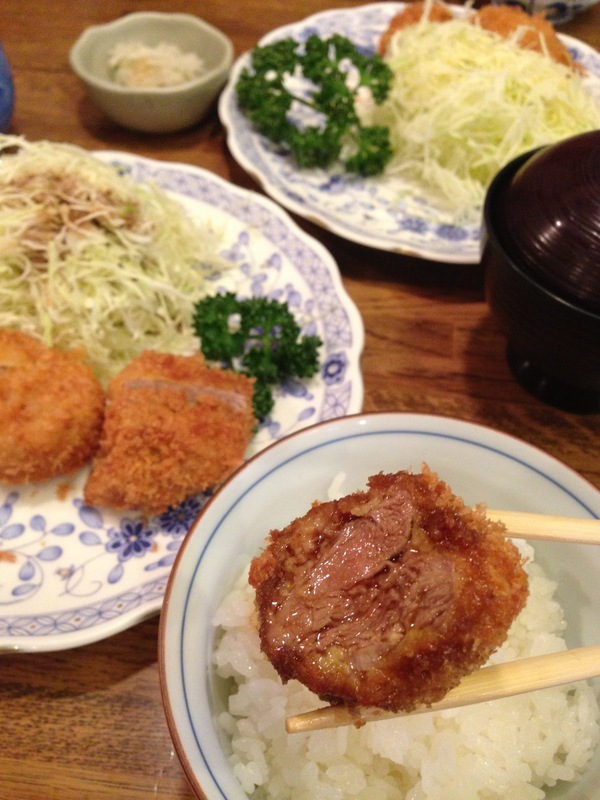 I always opt for the tenderloin fillet instead of the ro-sukatsu (pork loin) because it is less fatty and being at a GOOD tonkatsu place like yutaka I know the meat will still be fluffy and moist at the same time, just the way I like my tonkatsu. The thing I really like about Yutaka is that you never feel uncomfortably heavy after eating a whole meal of deepfried stuff there.Their katsu sauce is extraordinarily thin compared to most other tonkatsu shops – only slightly less runny than soysauce, with no frills (no sesame to compliment it), but still brimming with wonderful flavours of fruit and spice that make a lovely balance to the meaty dish.